As you advance through each of Nordost’s cable ranges, what you find is a progressive build upon the fundamental elements of great cabling. The Norse 2 family is the second tier in Nordost’s line, delivering the depth, precision and nuance previously only found in live performances. Like Leif cables, the Norse 2 family uses silver-plated, OFC solid core conductors, extruded FEP insulation and a mechanically tuned construction. However, Norse 2 employs even further technological advances, unlocking the full potential a hifi audio system has to offer. 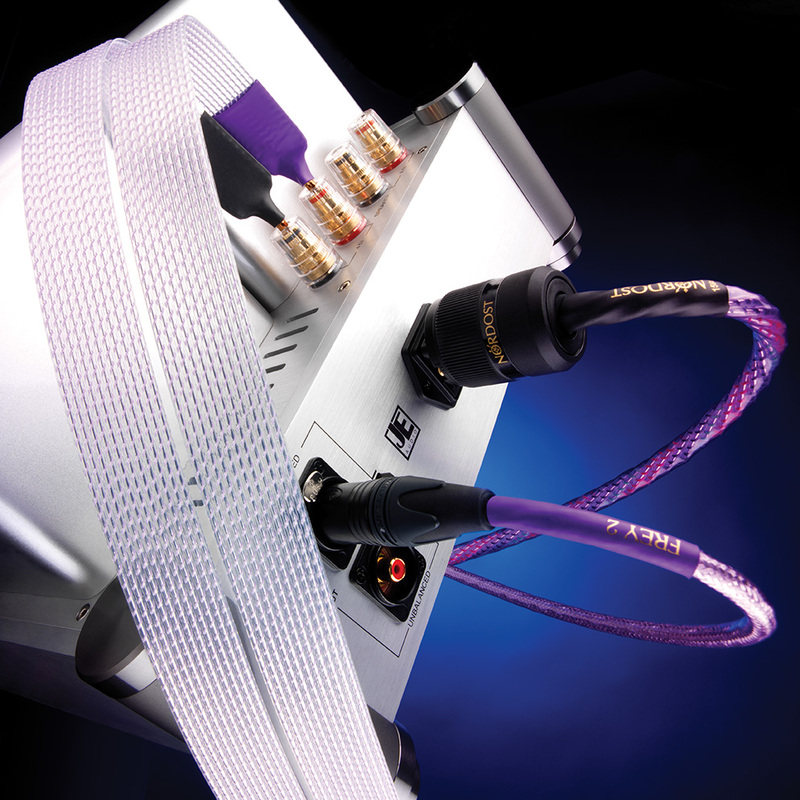 After years of extensive research and development, Nordost has perfected a proprietary technique called Mono-Filament technology that creates a virtual air dielectric by winding an FEP filament in a precise spiral around each individual conductor before extruding an outer FEP “sleeve” around it. By minimizing contact with the conductor, Mono-Filament technology lessens dielectric absorption while enhancing mechanical damping and geometrical precision. In addition, Norse 2 family cables are the first to use asymmetrical grounding across the board, lowering the noise floor by increasing the ground quality. Nordost has also taken a step beyond its original mechanically tuned construction and introduced mechanically tuned lengths, reducing internal microphony and high-frequency impedance resonance.